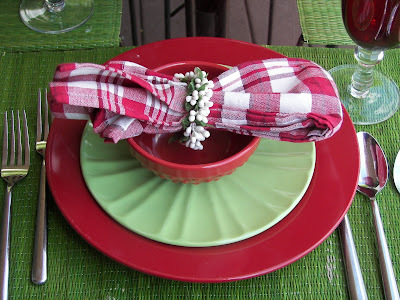 Welcome to Tablescape Thursday and to Red Couch Recipes where we celebrate the beautiful color of red apples and green apples. 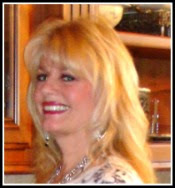 Yes, it is Apple picking time again: is a little bit late here in Utah as June and part of July were unseasonably cold. I relish this time of year -- how about you? 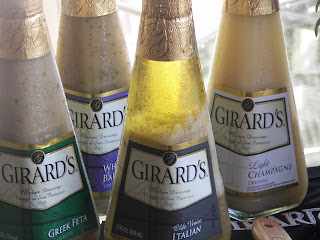 If you would like, my 4-Pack of Girard Dressing giveaway is still open. Click HERE to enter. The tablesetting is simple. Just some very versatile apple red plates along with my apple green salad plates and hob nail apple red bowls -- don't you just love hob nail? These are A-Kane apples and they taste like biting into apple cider. My father had an orchard and acquired an apple cider press. Those were the days when he would be pressing fresh apples from the orchard! The farmer sells them right on his front porch. It is about 1-1/2 hours from where I currently live and just around the corner from my brother's home. Yes, Fritz we did stop but you were off playing. Every year we make the trip back to buy some apples from him. A view of the Mums. Of course I brought you some sweets -- some marbled-apple cookies. I made these for my church Activity Day girls and for my daughter's teacher for "Back to School" night. 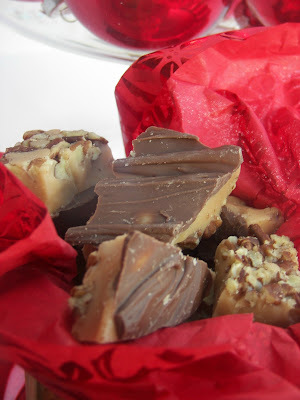 Grab a cookie before you go and thanks for dropping by Red Couch Recipes. Glad to see you made it. I love the red and greens together. These are really good apples, so sweet and juicy but a little tart.I loved the apple cider from Dad's old press. Fun memory. Cute cookies too. They would be great with a nice glass of fresh cider. Personally, I just love the combination of apple red and apple green. It's one of my favorites. I even like it at Christmas vs. the usual piney green. This table is so pretty. I would want one like it. I like the red and green as well. I think that basket of apples is so pretty, so charming! Love this. What a great color combination...you did such a good job with your table. I like how it is so vibrant. Yummy! All I can say is LOVE LOVE LOVE. You do such great work. I love the green and red used together! The apple theme is so perfect for this time of year. Hi, Joni!!! You brought back a lot of memories for me, too. We had a small apple orchard on our property when I was growing up, and my Mom would make all things apple!!! Ooooohhh, the pies! :-) Apple cobbler was always my Dad's favorite. He still tends to a couple of red and yellow Delicious apple trees, but he's nearly 90 now so that's about all. This is a terrific theme to showcase! A very pretty early fall look! And you got the goblets at Costco??? Wow! Good deal! 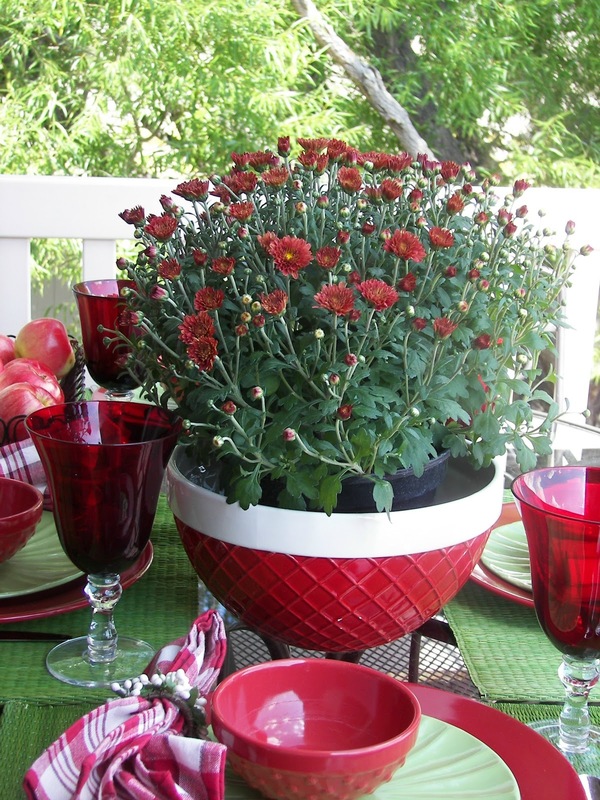 They are perfect with your table! Enjoy! Tis the season for crisp apples! Joni, your table is really pretty, lots of red with a bit of apple green. I miss New York's apple season in September! Your season is very early but you certainly are in the swing of it! 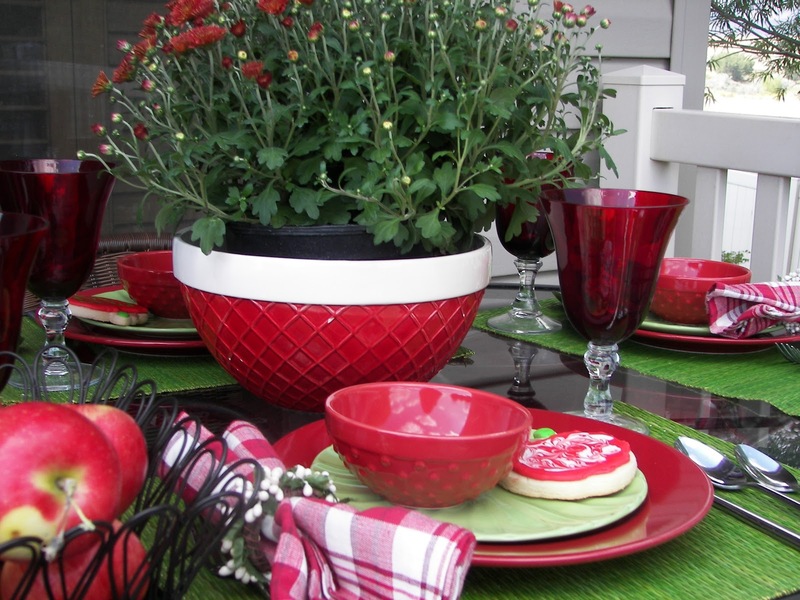 I love all the red and green!You picked a great theme for this time of year. Thank you for sharing. Nothing says fall like apples. I love this tablescape (maybe the best of all). I know I asked you where you got these apples last year. Could you e-mail me? Such pretty apple colors. 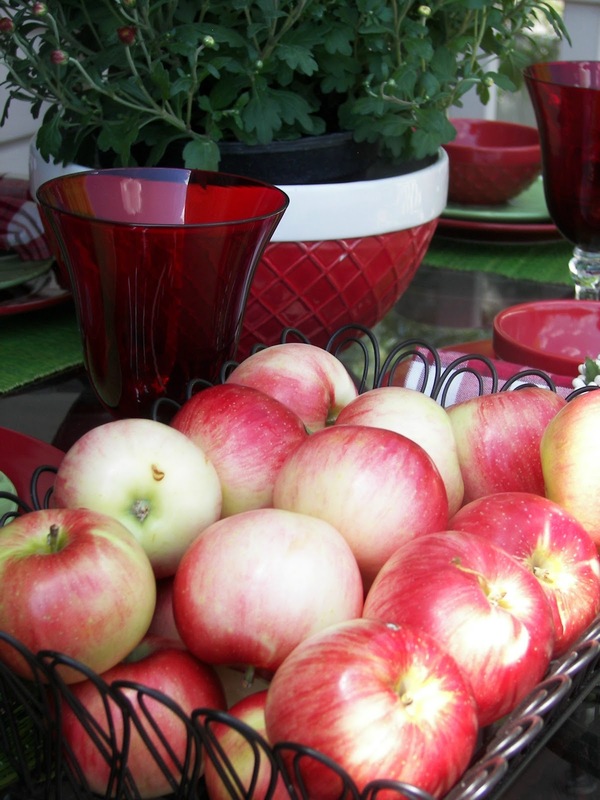 I love apple picking time and your table is just adorable. 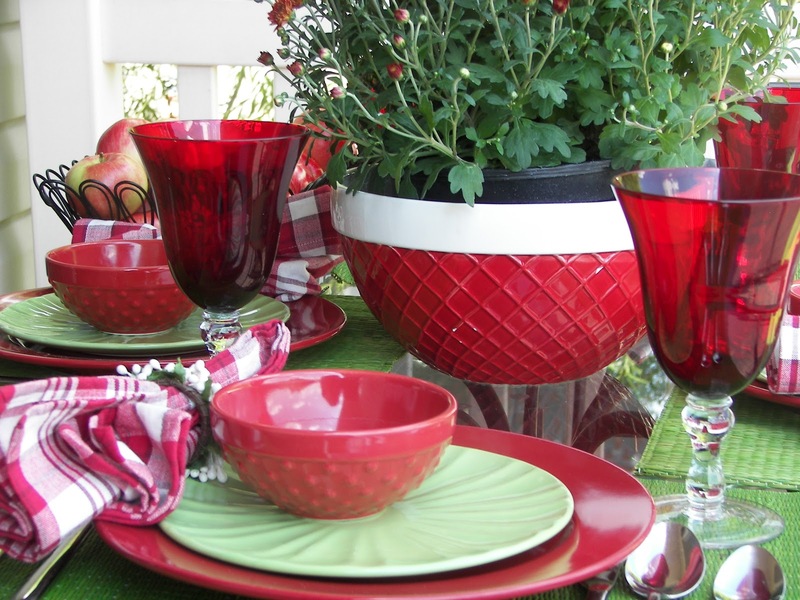 All your reds coordinate so well; this is a lovely table. Even the mum is a perfect color. The apple shaped cookies are so adorable and perfect for the table. Very nice! How crisp and apple perfect! 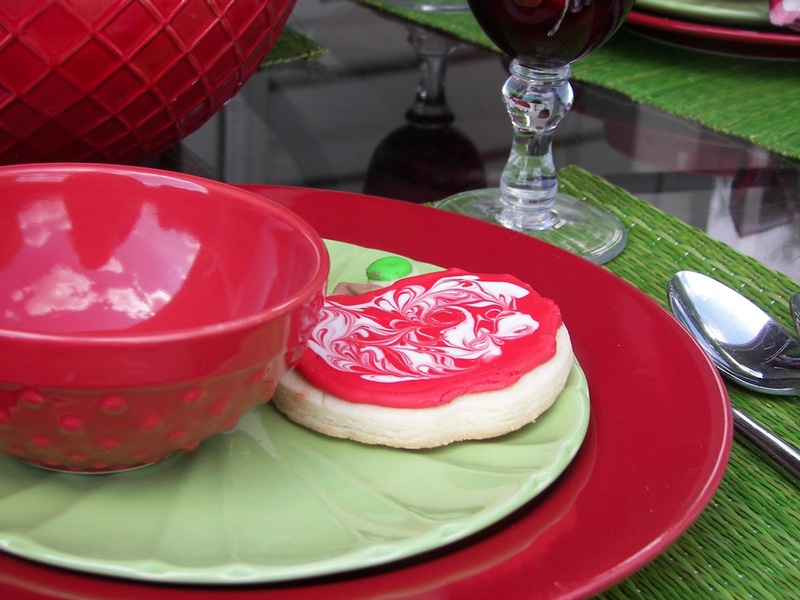 I love the color combo, and your cookies are so cute. I did an apple table too. Come over, I mentioned you in my post!